Pharmaceutical lubricants used for lubrication of manufacturing machines should be of approved food grade. 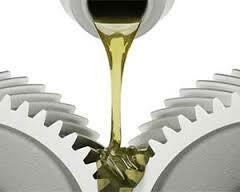 Lubricants are used to minimize the faction between the moving surfaces of the machines. The fraction may cause the heating of the moving parts. It also helps to minimize the load on the machine and rust. Generally, lubricants are prepared with organic and synthetic compound those are not permitted in pharmaceuticals. There are many moving parts in compression machine, packing machines, coating machine, colloid mill, rapid mixer granulator etc. those are required to be lubricated time to time. Leakage of lubricants is a major problem in pharmaceutical manufacturing that can cause the contamination in drug products. In sterile production, this lubricant may cause microbial contamination in the product. There is a chance of mixing the lubricants with the products that are not acceptable by the regulatory agencies. Therefore, a suitable lubricant is required for pharmaceutical manufacturing machines. Food grade lubrication oils are used for lubrication in pharmaceuticals those are permitted by regulatory agencies. These lubricants must have ISO21469 certification and manufacturer must have National Sanitation Foundation (NSF) H1 registration for the product. Generally, synthetic food grade pharmaceutical lubricants contain polyalphaolefin oil (PAO) or polyalkylene (PAG) and can be used at extreme temperatures also. Silicon oils with high viscosity are also used. Food grade oils are similar to the synthetic lubricants in lubrication, fraction reduction, rust control and other properties. These also have an extra advantage of incidental contact with drug products. 21 CFR part 175 Section178:3570 - Lubricants with incidental food contact has a list of food grade oils to use as lubricants and their permitted percentage in food and drug materials. ISO21469 - Lubricants with incidental product contact - Hygiene requirements has hygiene requirements and the handling of the lubricants during the incidental contact with the food and drug products. Information for use, packing, labeling and other requirements for an international standard lubricant is also specified in this part. According to United States Department of Agriculture (USDA), lubricants have following three categories. A. H1 Lubricants: These are food grade lubricants and used for lubricating the equipment where are chances of contact with food or drug products. These lubricants must contain the ingredients listed in 21CFR part 178:3570. B. H2 Lubricants: These are used to lubricate the parts of machines those do not have a chance of contact with the product. The ingredients for these lubricants are not listed but should not contain heavy metals like lead, cadmium and arsenic. C. H3 Lubricants: These are edible oils those are soluble and used in transportation equipment like trolleys. 1. Material Safety Data Sheet (MSDS) for pharmaceutical lubricants should be available. 2. The chemical composition of the pharmaceutical lubricants should be according to the 21 CFR part 178:3570. 3. Certificate of Analysis must be available for the purchased lot. 4. Pharmaceutical lubricants should be tested for disburdening. 5. Pharmaceutical lubricants should not be expired because it may come in contact with the product.